The Classic Beanie is our most cozy must-have accessory! Soft, stretchy, and fleece-lined, it's the perfect way to stay warm, look cool, represent hope, and support what we're all about. The trademark label showcases our hand-designed logo, along with the message, "We have this hope as an anchor for our souls." Bottom line: The Classic Beanie is everything we want a hat to be. It's perfect for both men and women, one-size-fits-all, made of 100% acrylic, and comes with fair warning that you may never want to take it off! Scroll down for more details! What’s your color this season? The “Strength” charcoal black features textures of dark woven grey flecks, and reminds us that, even in our darkest night, we’re not alone, and we can boldly choose hope from a place of strength. The “Peace” army green is that perfect neutral-tone to coordinate with your favorite outfits, and reminds us that we can have inner peace in the midst of the chaos of life. The “Courage” bright red is the perfect pop-of-color, statement piece to rock with any of your favorite hope gear, and reminds us that hope is the most bold, courageous decision that we have the opportunity to make every single day. Of course we’ve kept your favorite “Dignity” grey to remind us that the daily choosing hope through all the ups and downs of life is dignified. We honor you, warriors. Yes, hope is a family affair! 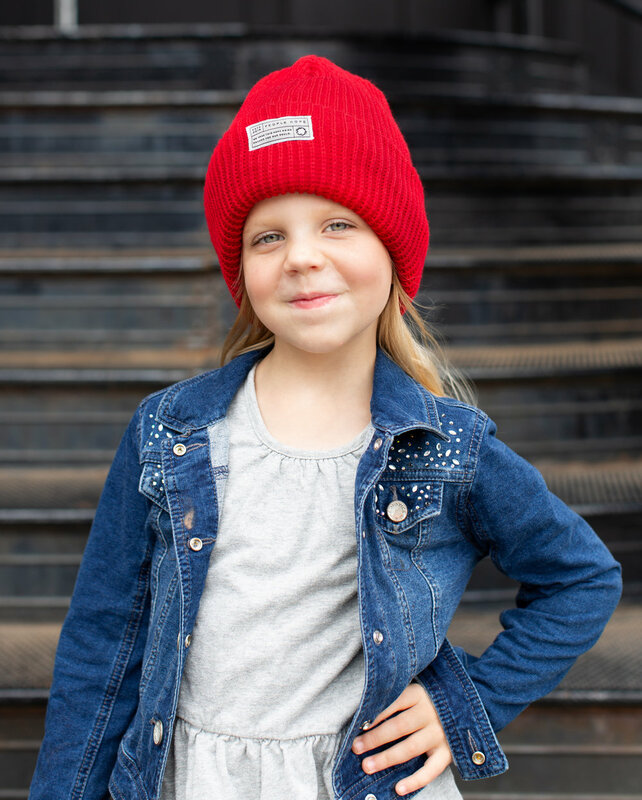 Tested, proven, rocked, and enjoyed — our beanies even fit the noggins of most kids ages 6 and up! 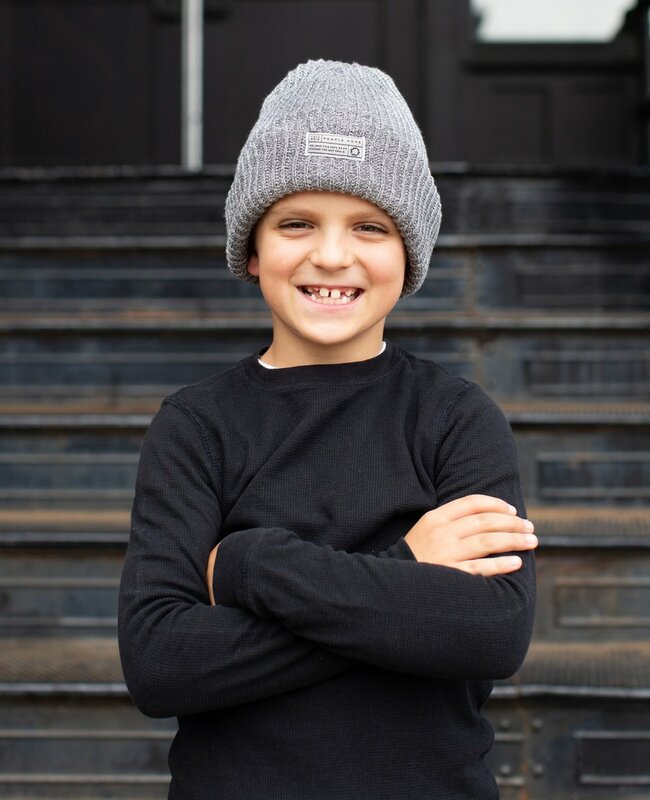 The beanie's inner cuff circumference, before being stretched at all, starts at approximately 15" and expands for the growing minds of our future leaders and hope-makers! With it's natural cuff in place, it measures approximately 8¾" from tippy top to bottom, and is able to stretch generously to fit any sized noggin'. With an untethered cuff feature, you can fold your hat to create your own perfect custom fit! You can officially match with your kids, nieces, nephews, and grandkids, all while giving gifts that support this global, vibrant chronically ill community! You can expect your beanie to be shipped and begin its journey to get to you within 3-7 business days from your order date!